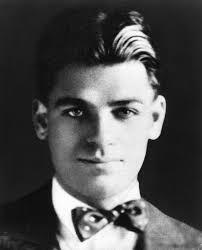 Rodgers and Hammerstein refers to composer Richard Rodgers and lyricist-dramatist Oscar Hammerstein II, who together were an influential, innovative, successful, American, musical theater, writing team. They created a string of popular Broadway musicals in the 1940s and 1950s, starting what is considered the "golden age" of musical theater. 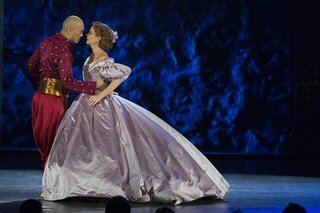 Five of their Broadway shows, Oklahoma!, Carousel, South Pacific, The King and I and The Sound of Music, were outstanding successes, as was the television broadcast of Cinderella. 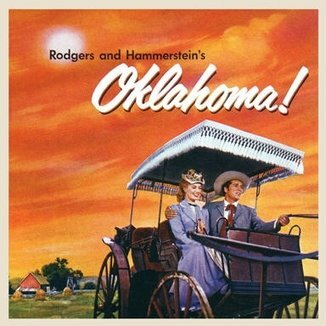 Today’s listening example is the song “Oklahoma!” from the musical “Oklahoma!” that was Rodgers and Hammerstein’s first project together. This musical became a smash hit and later an Academy Award winning musical movie. Listen for the chorus. It starts with a long OOOOOOOO! That is the signature line for this musical. 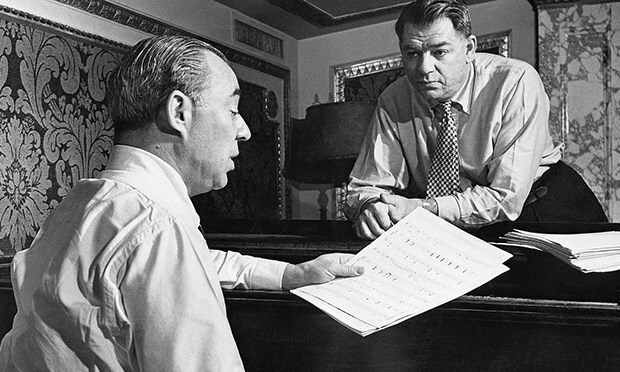 Did you know that both Richard Rodgers and Oscar Hammerstein II married women named Dorothy, and both had fathers named William? This last fact lead Rodgers & Hammerstein to name their music publishing company Williamson Music Company when they founded it in 1945. Richard Charles Rodgers was the second son born to physician Dr. William Rodgers and his wife, Mamie, on June 28, 1902. Rodgers learned to play the piano as a toddler, due to the fact that his parents loved Broadway musicals and would often play the tunes they had heard on the piano at home. By the time he was 15 years old, Richard knew exactly what he wanted to be he grew up. He wanted to be a theatrical musician. 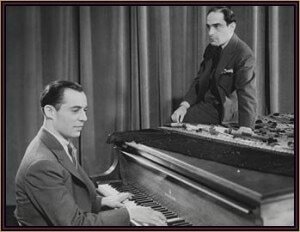 The man who sparked Rodgers’ passions for musical theater was Lorenz Hart. Richard got to meet Hart in the winter of 1918. It was from that meeting that a friendship was started. This friendship turned into a collaboration that produced songs such as “Blue Moon” “My Funny Valentine” and “Isn’t It Romantic?”. Today's Listening Example: "Where and When"
Babes in Arms, as seen in today’s listening example, is the 1939 American film version of the 1937 Broadway musical of the same name. The film version stars Mickey Rooney and Judy Garland. 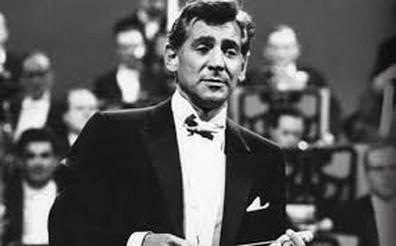 Most of the Rodgers and Hart songs from the stage musical were cut, except for the title tune, "The Lady Is a Tramp" – used as background music during a dinner scene, and, today’s listening example "Where or When". 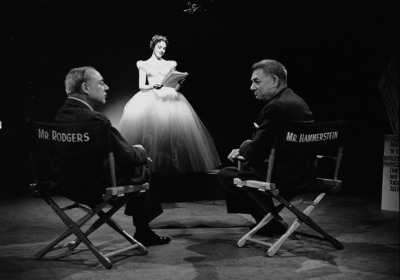 Rodgers and Hammerstein worked together to take stories, plays, or poems, and turn them into musicals. They used their talents to create something that people of all ages would love. Even now, more than 70 years later, people still recognize their music and can sing it by heart. 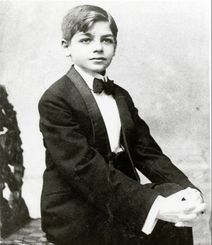 Oscar Hammerstein II in his first suit. 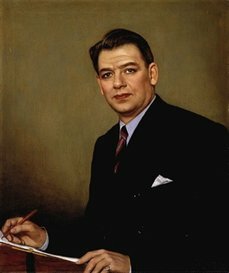 Oscar Hammerstein II was born in New York City on July 12, 1895, into a family who worked in theater. 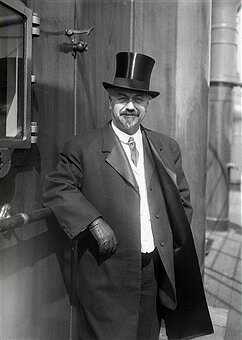 His father, William, managed a vaudeville theater, while his grandfather, Oscar Hammerstein I, was a famed opera impresario. 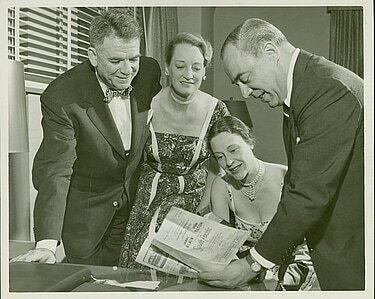 Hammerstein's uncle Arthur was a successful producer of Broadway musicals. Even though he grew up in a very musical family, Oscar’s grandfather desperately wanted him to do anything other than theatre. So, he decided to be a lawyer. He attended Columbia University, in New York, as a law student; however, he couldn’t stay away from the stage. 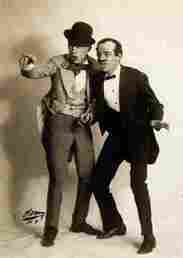 He began acting in the school’s Varsity Shows which were very similar to the Vaudeville acts his family had done. It was through these shows that he met Richard Rodgers for the first time. 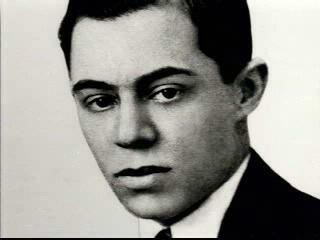 In 1920, he worked with both Richard Rodgers and Lorenz Hart to write a show called Fly with Me. Not long after, Hammerstein dropped out of college to become a full time writer and producer of musical theater. Today's Listening Example: "I'm Gonna Wash That Man Right Out of My Hair"
Today’s listening example is from the Pulitzer Prize Winning musical, “South Pacific.” Hammerstein and Rodgers wanted to create this musical to send a strong message on racism. The plot centers on an American nurse stationed on a South Pacific island during World War II, who falls in love. In today’s song, “You’ve Got To Be Carefully Taught” a young soldier, who has fallen in love with a native girl, sings about how people are taught to hate different races, or kinds of people. This song stirred a great deal of controversy in many southern states where the musical toured. Rodgers and Hammerstein changed the face of American musical theater by integrating the elements of drama, music and dance as never before. 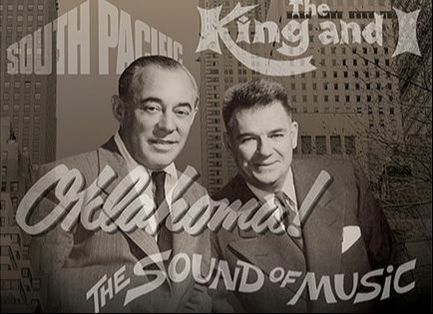 Their 17-year partnership began in 1943 with Oklahoma! and continued through ten other musicals. 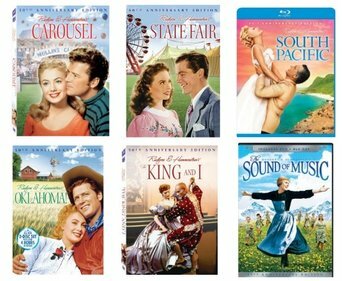 Even though Oscar and Rodger wrote mostly about love and romance, their musicals and plots did often have a moral, and sometimes controversy. 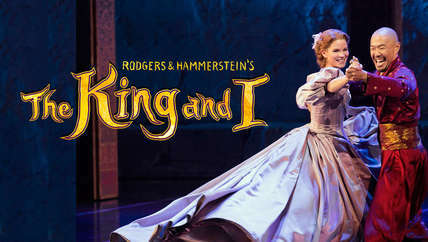 “The King and I” is one example of how their work sometimes caused a little trouble. 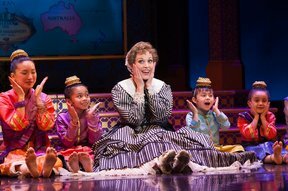 The King and I is based on a true story…...sort of. The characters are real. The story is based on Anna Leanowen’s experiences as a teacher for the children of the Siamese King Mongkut. However, the two never really fell in love because the King was not allowed to marry, or fall in love with, anyone who wasn’t Siamese. In fact, the very idea of the Siamese King Mongkut falling in love with someone who wasn’t Siamese made the Siamese government so mad that they banned “The King and I” from the country and made it forbidden for their people to see! Today’s listening example is “Getting to Know You” from the musical “The King and I.” Anna starts off with a great quote about teaching, “If you become a teacher, by your pupils you'll be taught.” This particular performance of “Getting to Know You” is from the 2015 Tony Awards show, so it includes other songs from the musical as well.